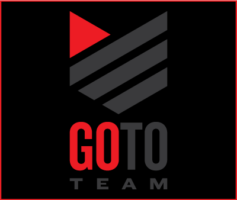 Go To Team Elite Camera Crew & Video Production Crew | Off With Their Heads! Just Not Ours. 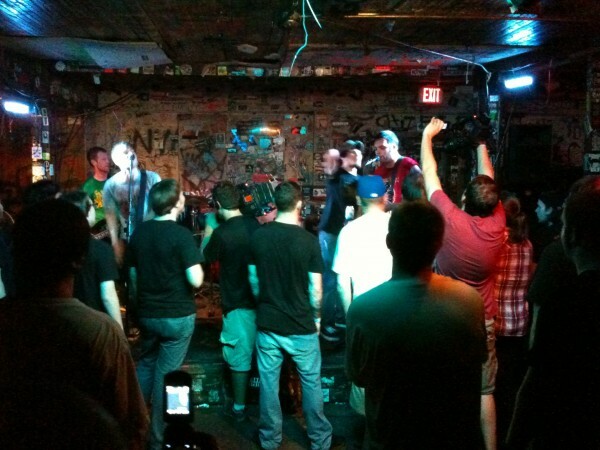 Charlotte Crew Covers Punk Band. Most of Go To Team’s shoots are far from typical but a recent shoot at the “World’s Famous Milestone” was beyond typical, if you can even call it that. 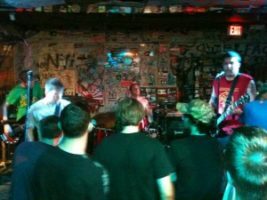 If you’ve never heard of the Milestone then you probably aren’t too familiar with the “punk scene” in Charlotte. The Milestone is a rundown home turned into a rundown bar slash stage. You can find some of the rawest of raw bands perform live. GTT shooter, Nick Modisett, John South, and myself found ourselves at this fine establishment to film the up and coming punk band, “Off With Their Heads.” With a name like that even the office was a bit worried to send us on this shoot. With the Milestone’s gritty look and feel it made for some awesome interviews with band members Ryan Young and Robbie Swartwood. Ryan and Robbie were great on and off camera and put us at ease about shooting the show. As “Off With Their Heads” took the stage Nick and his Sony F900 made his way to the front of the crowd. John South and his Sony EX3 also ventured into the crowd. Monitoring audio, I watched on from the distance as Nick and John navigated the “Mash Pit.” I was worried, not for Nick and John but for the cameras they clung to. I was almost certain I was going to witness at least one camera meet its maker. However, the crowd that made up the “Mash Pit” was very aware of the cameramen and did their best to avoid them. With a few songs left in the set list, Nick handed me the F900 and I too navigated the highly amped up crowd. I captured some awesome shots of fans crowd surfing and the overbearing intensity of the band itself. When the last song finished someone sprayed their beer into the crowd. I quickly shielded the camera with my body and exited the “Mash Pit.” Nick, John, and I were completely exhausted after the shoot yet we found ourselves more energized then ever. However, the band was just about burnt out. The drummer looked like he was about to pass out on stage! We packed up our gear and said farewell to the Milestone. 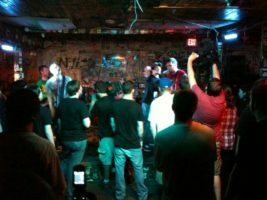 I don’t think any of us would claim to be fans of the punk genre but we sure did enjoy the night. Maybe we were just happy to leave with our heads still intact.